Merck & Co. has landed a blow against rivals BMS and its lead in immunotherapy treatment of renal cell carcinoma (RCC). 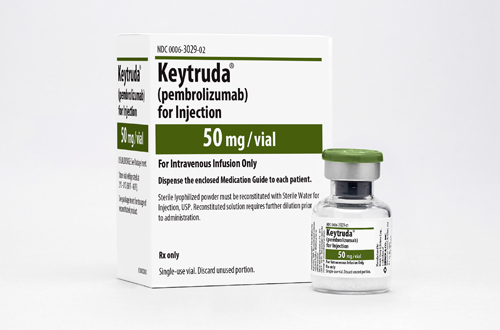 Kidney cancer is one of the few therapy areas where BMS has had the upper hand on Merck & Co’s Keytruda, but new data on its use in combination with Pfizer’s Inlyta (axitinib), shows it outperforming BMS’ pairing of Opdivo and Yervoy. The drug combinations aren’t being compared head-to-head yet, but both have been tested against current standard sunitinib for first-line treatment of advanced or metastatic RCC. Topline results from the Phase 3 Keynote-426 trial of Keytruda + Inlyta in first-line RCC showed an overall response rate (ORR) of 59.3% with 47% less risk of death (hazard ratio = 0.53) compared to sunitinib. This outperformed similar topline data from CheckMate-214 of Opdivo + low dose Yervoy, which produced a 41% response rate in the intent-to-treat population with a more modest 29% less risk of death (hazard ratio of 0.71). Full details of both trials will be presented at 2019 Genitourinary Cancers Symposium (ASCO GU) in San Francisco, which starts tomorrow and runs until Saturday. The data sets Merck & Co up to steal market share away from it rival, and the firm has already has filed the combination with the FDA. There is another contender in the checkpoint inhibitor field which could play a role: Pfizer and Merck KGaA’s combination of their Bavencio with Inlyta is already awaiting an FDA decision. However the huge momentum and weight of data behind Keytruda makes its expansion into this field a virtual inevitability. BMS suffered more discouraging news this week when its partner Nektar released updated data on the NKTR-214 + Opdivo (nivolumab) for the treatment of urothelial cancer. An overall response rate (ORR) of 48% (11/23) and complete response (CR) rate of 17% (4/23) were recorded, figures which have disappointed investors. The data will also be presented at the congress in San Francisco. The data compares unfavourably with a 60% ORR released at ASCO last year. The NKTR-214 + Opdivo combination is a vital one for BMS as it looks for a way to keep up with Merck & Co and its string of trial successes. The combination is being investigated in no fewer than 20 indications across nine tumour types.